Companies should always be looking for ways to connect with their clients. Although the digital world makes it more of a challenge for marketers, we have a solution for you. Establishing a personal-human presence on a website, while also providing the necessary information about business services is nearly impossible. However, a blog can help solve this issue. Through the use of blogs, companies can acquire more customers by revealing useful information. When a blog can benefit a consumer in their day- to- day life, the consumer will feel as if the company cares for their well being. With the new digital era, by incorporating blogs on your company’s website, the consumer can interact with content writers. By doing so, this will allow the consumers to get to know more information and make a connection with your company. Also, it will enable companies to acquire insight from their customers and make the necessary changes. Companies are always trying to show what they can offer a consumer. By creating a blog, the company will be able to show the professionalism within the company as well as provide the consumer’s insight on things to be aware of in regards to a specific topic. For example, at Amped Marketing and Advertising agency, the creation of blogs can help other companies expand by showing them the top reasons a company should do things or have a lookout for. One, in particular, is the “Top 3 social media trends of 2019”. By creating this blog, Amped hopes to help out other consumers by showing what we have to offer. Also, we are showing consumers what they can do to help their business image. A blog is a great way to showcase these various fields of expertise and provide customers with information that will inspire the confidence needed. This format also allows for blog writers to dive deeper on specific product or service subjects. A well-maintained blog that is regularly posting content about different services shows potential clients that their company has the experience and a breadth of knowledge needed to help benefit them. This will make them more likely to become a client. Search engine optimization, otherwise known as SEO, is an essential tool for businesses to utilize. By understanding a search engine’s algorithm and creating content that will make the algorithm favor a company’s website, that company will automatically go up in the ranks of search engine results, thus making it more likely that a consumer will click on that company’s listing. Blog content can make great strides in boosting SEO through keyword frequency and quality content, increasing search result placement. For Amped Marketing and Advertising agency, posting a blog weekly can help increase the search engine optimization. Just by focusing on the keywords in a blog, it can allow more potential clients to access your website. If someone is interested in a new site, for example, they will search that up in a google search. By conveying the right information, the SEO will allow the consumers to find your blog as soon as they search for the keywords within. If you are looking for help on developing and manage a blog, website, or SEO campaign, look at Amped. We have a team of experts that handle every element of your marketing campaign in-house. Allowing you more time to focus on running your business day to day. Contact us: 520.777.8309 to find out what we can do for your business. Print Advertisements are usually overlooked as digital media is at the forefront of everyone’s minds. Search engine optimization, website design, and online video and photography content are all the rage no matter what sort of business you have. While the sparkle and pizzazz of digital marketing is exciting, print advertising should not be pushed aside. Many things fall into the category of print media from flyers, mailers, billboards, newspaper, to magazine ads. While all of these methods aren’t right for every business, there are certainly ways for your business to take advantage of the benefits of print advertising. 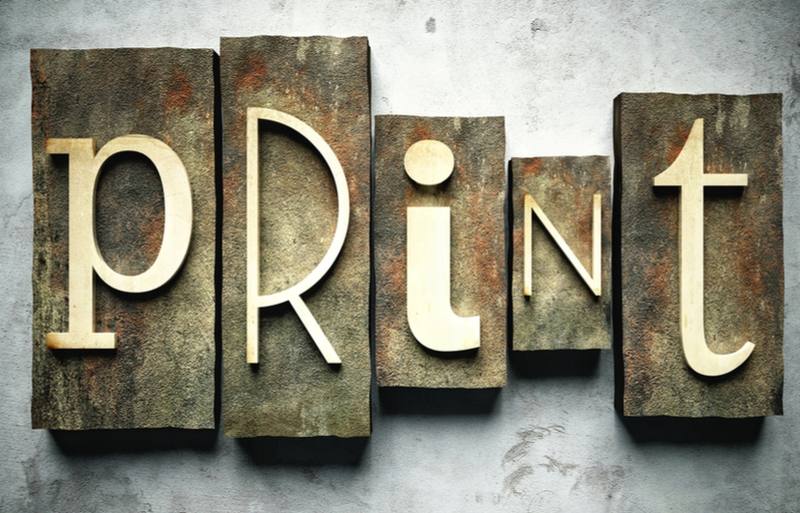 Here are five tips for making an incredible print advertisement for any business. There are brands that are so recognizable today that the name of the company could be taken from their logo and it would still be instantly recognizable. When a brand has a recognizable logo, they can more successfully spread print advertisements because there is a better chance a consumer will recognize the brand before turning away from the ad. This is crucial for quick-consumption advertisements like billboards and newspaper ads. This is where the advertisement is lucky to catch the viewer’s eye for just a few seconds. Every day the average American is exposed to thousands of advertisements from all forms of media. To make print ad stand out, you need to find a way to make visuals pop. Not only will great visuals catch eyes, but it will likely make them look longer. thus allowing them more time to take it in and remember it in the future. Some advertisements are so striking and innovative that people will show their friends. To see a collection of some amazing print advertisements, check out this list compiled by Canva. A print ad should focus on one aspect of the product and build around that singular idea. Think of Nike’s motto “Just Do It”, it focuses on the simple aspect of being physically active. In today’s world, it is essential to have an ad that is simple and to the point. Every company has a lot to say about their product or service, but a print advertisement is not the place for every one of those. Always make sure you have required information on how the user is to make a purchase. It is important to have this attached info visually where it compliments the idea. Print advertising is distributed in specific locations around the world, and locations are extremely important. Whether a business is looking for a spot on a billboard or magazine, location needs to be planned. It will determine your audience and how you can create conversions. For example, if a travel agency was looking for a magazine to run an ad in, It is better for them to find a travel-specific magazine rather than running in a local paper. By using location wisely, a company can target exactly the audience they are looking for. Many times for cheaper than a wide and unfocused audience alternative. For more information about print advertisements, click here! When your business is ready to advertise to the masses, Amped Marketing can help. We can conceptualize and design amazing print ads that will get your audience to look deeper. Call us today at 520.777.8309 to find out how we can help your business grow. 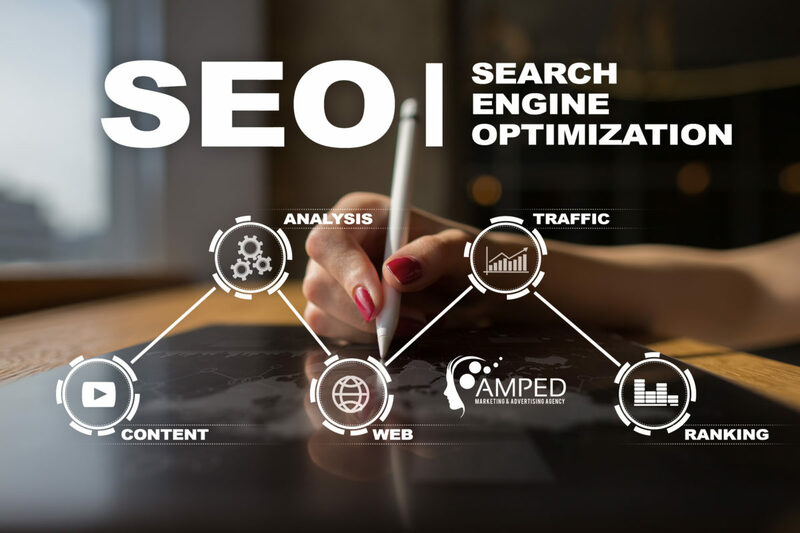 When looking at SEO tips, every passing year brings changes, especially in the ever-evolving sphere of search engine optimization. With only a couple months left in 2018, it’s time to start looking into trends and predicting what the future may hold for SEO and pay-per-click so businesses can have a head start going into the new year. Here are three SEO Tips to keep in mind as you build your SEO and PPC campaigns for the coming year. Typing and speaking are two very different forms of communication. Speech is much more fluid, an improvisational form of communication, especially when it comes to searching for something on the internet. Consumers need to take the time to type out what they are saying and see it written out before pressing “search.” They organically word things differently when activating a listening device and speaking into it. These voice queries could come in completely different forms, as well. For example, if someone is trying to figure out how to change his or her date and time settings on the computer, they might type “date and time change on pc/mac.” This will likely bring up their answer in seconds as they used particular keywords that can lead them to the answer. However, say this same person decides to speak this query instead, they might phrase it as: “How do I fix the time on my computer?” This could easily provide results that aren’t related to the actual question at hand and confuse the consumer. The move to voice search technology is going to be such a crucial element for SEO experts in 2019 and beyond. Google has dominated the search engine space, and arguably the internet, for years. Bing and Yahoo came in 2nd & 3rd, making these the big three that people think of when they see SEO. Businesses and products need to be discoverable on the big three, but also in numerous social media platforms. Each of these websites has their algorithms, functions, and search capabilities. Blockchain is a confusing concept at first, but it will become an essential part of any business online. Blockchain is a type of technology that allows bitcoin and cryptocurrency transactions to operate in a secure and manageable fashion. Within the system, transactional information is decentralized and public. This places more power into the hands of consumers and small businesses. Blockchain reduces click fraud, allows for online payments in an extremely secure environment, and saves businesses money. Anyone not using blockchain by 2019 is missing out on some very worthwhile benefits. Keeping up with the times and predicting the future of SEO and PPC is not an easy task. If you’re looking to upgrade your digital marketing campaign with a professional strategy, keep your eye on the future. Our in-house SEO experts will ensure that your plan is the best it’s ever been. Contact us today at 520-777-8309 and see what we can do for your business. 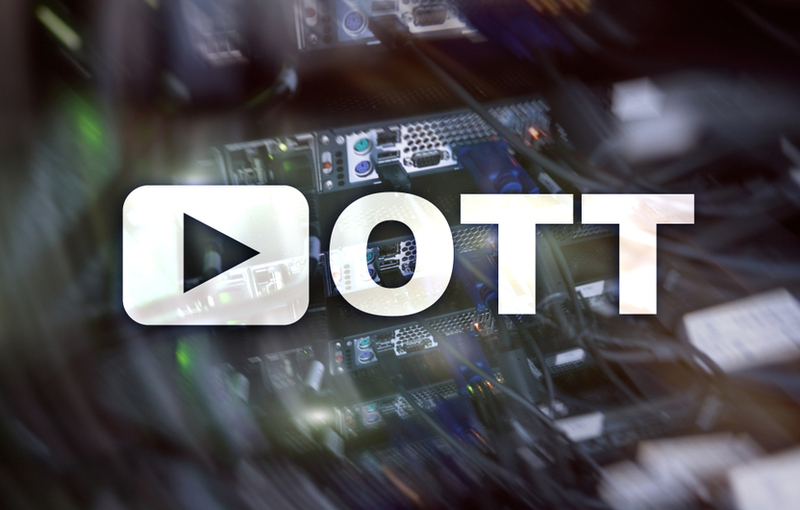 OTT media services have been growing exponentially for the last decade. The platform has been taking the world of film and television by storm and has changed the game forever. However, what exactly is OTT (Over the top) media, and what does its huge presence mean for traditional TV? OTT media is any form of content that is delivered over the internet directly to the consumer. There is no going through a middleman station like a broadcast network or television provider. These streaming services have been growing in number, scope, and net worth for years. Although this trend began with iTunes as one of the first big players in the world of pay-to-download content, Netflix’s decision to provide a streaming service launched OTT media into the spotlight. Today, there are dozens of different streaming services competing for subscriber dollars. Some provide a channel or company-specific content like HBO GO or DC Universe. Others offer live television streaming without the need for a cable package like YouTube TV. Some are even as niche as offering one genre of content, like Shudder, a streaming service that only hosts movies and television shows that fall under the horror and thriller genres. Even the Disney Company is planning to unveil a Disney-only streaming service and has pulled much of their content from other platforms like Netflix and Hulu as a precursor. So while OTT is an excellent way for consumers only to have to pay for the things they want to watch, there’s some uncertainty about which services will survive and which will shut down after a few years. Some companies are concerned about the changing climate of television viewers, wondering how advertising will morph to fit what is becoming the new normal. Some streaming services already have advertisements that are incorporated, companies big and small are actively capitalizing on these opportunities. For example, Hulu now has two versions of their service; one is the premier ad-free version for about $4 more per month than the standard service. At the standard tier, commercial breaks air several times during shows. Commercials are shorter than traditional television breaks- about 90 seconds long rather than several minutes. They are a valuable place to advertise as streaming service customers tend to sit through these shorter commercial blocks. Consumers tend to ignore them or switch channels while on broadcast television. Many of these services, including Hulu, are also no stranger to local advertisements. Whatever the scope of a business, streaming services are a viable option for commercial spots. To learn more about OTT and how your business can capitalize on that shift, contact Amped Marketing. We can create amazing commercials plus find the perfect place to air them based on your goals and budget. Call us today at 520.777.8309, and together we can dominate over your competition. In the world we live in today, it is imperative to keep up with social media trends when focusing on marketing and advertising. Long gone are the days of just dealing with traditional marketing, the average consumer is online 4 hours per day. Social media is constantly changing, evolving, and new ways to use it are always being discovered. In 2018, we saw some specific trends that worked for businesses. 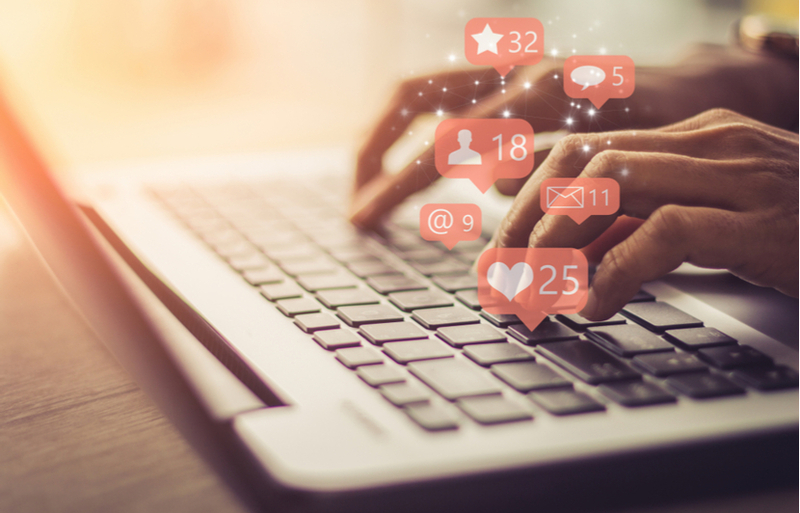 With 2019 coming up, we want to make sure you are up to date on how to leverage your social media platforms successfully. Live videos and webinars were a huge marketing trend we saw all throughout 2018. This will continue for a long time due to the high success rates businesses saw. According to research, 80% of consumers prefer to watch a video from a business compared to reading their posts. This makes sense as videos take less effort on the audience’s end. Videos are usually more entertaining, engaging, and a lot of times the information is retained better. Often, businesses use live videos and webinars to their advantage by posting informative videos about their products. They show how things operate, or even just give simple updates or daily knowledge. When it comes to promoting a business or product, this is an extremely effective way of doing so. Videos and webinars increase engagement and often lead to customers sharing your video or leaving a comment. The more often videos and webinars occur, the more awareness there will be. This results in reaching more people on many different platforms when done correctly. Have you ever visited a website and seen an icon that says “Let’s Chat!”? That would be called a Chatbot. Chatbots are a way marketers can engage with customers on their website. It enables them to initiate a conversation about the product, questions, concerns, etc. These bots are a brilliant trend within social media. They can pick up on words sent by the user and create automatic responses instantly. They are actually so accurate one would think you are really talking to a person. Chatbots drive in more sales and increase a businesses profit. Revenue also soars as customers feel taken care of and recognized. In fact, 80% of businesses and marketers are already using or planning to use chatbots by 2020. This is definitely a good bandwagon to hop on sooner than later. I’m sure you have been on a social media platform before and seen a famous person promoting a product or company. You can call this influencer marketing. This is when a company reaches out to someone who is well known in society to basically be the “face” of their product or company. Businesses have realized they receive more engagement and attention from audiences when they were creating campaigns that involved an influential person with many followers. When done right, having a celebrity endorsement can actually positively impact the way people view and feel about a product or business as a whole. This trend is definitely one we are going to continue seeing in 2019 and beyond. Influencers can help you reach the target audience you want, build trust in your company, and increase engagement and reach. It is important to take note though, that the influencer you chose should be relevant and appropriate. No matter what demographics you are trying to aim your marketing at. Overall, you should consider including an influencer in your social media advertising strategies. It’s never too late to try it out! All in all, being on top of the current social media trends is extremely important. Here at Amped Marketing, we are always up to date and we want to help you. Don’t hesitate to reach out to us at 520.777.8309 as we have all the resources and knowledge you need. Knowing how to market via social media can do wonders, and now is the right time to make sure you are doing it right! Media buying in 2018 can be a confusing and challenging part of advertising for business owners to navigate. There’s choosing the right stations and what spots to purchase. Then most importantly comes negotiating prices for the desired spots. the inexperienced buyer can easily get lost in the weeds and end up paying extra or not receiving beneficial placement. Luckily, there are media buying companies that specialize in precisely this that can help you ensure your television commercials or radio advertisements get to your potential customers most efficiently. What follows are three ways a media buying company is beneficial to a business. Television and radio ads can vary in price dramatically based on a variety of factors. The location, network, airtime, and accompanying programming can all factor into a media buy’s final price. While these factors do change an average price and provide a framework from which a station will base their offers, these can always be negotiated. A professional media buyer is an expert when it comes to this. A skilled media buyer knows all the ins and outs of a region’s pricing. They will be able to find a business the best placements to promote their product or service. Most importantly, while staying within the projected budget. They are masters in getting a lower price than an individual as they have various other clients with the station, and thus more negotiating power. A media buying expert’s job is to know everything there is to know about regional channels. From demographics to prices as well as what promotions are offered. They use this knowledge to purchase the most efficient schedules for a business. A novice may only understand some simple demographic information. Many small businesses which purchase local television and radio advertising are not experts in the field and therefore may not be getting the best deal. Would you ask the medical advice of your plumber? A media buyer can help a business by targeting the right demographic audience. Station sales representatives will be happy to sell directly to small businesses with little knowledge of the media buying industry. For the reason that these company representatives work on commission. When someone walks in asking to buy spots without expertise in such a field, they will consistently upcharge. A small business owner armed with information beforehand does not have the negotiating power and rapport that a professional media buyer will. Media buyers work for their clients, not for the stations. Businesses can rest assured that an honest media buyer will find them the most effective schedule. With their allocated budget being designed and structured for maximum effectiveness. The world of media buying can be a confusing one that might turn small businesses off of the idea of creating and airing radio and television ads. Finally with an experienced media buying company as a partner, we can offer full disclosure. As a full-service marketing and advertising agency, we will make sure your company has beautifully crafted television and radio ads. Even more, promising that we will get in front of your target demographics, as a result, our goal is to increase your sales. Contact us at 520.777.8309, one of our professionals would love the opportunity to speak with you. Digital advertising has taken the marketing world by storm over the last decade. Traditional methods of advertising such as television, radio, the yellow pages, direct mail, and print will continue to be effective in varying degrees. However, there is a clear shift in the world of marketing utilizing internet-based advertisements. Banner ads, online video commercials, streaming services, and search engine optimization strategies are quickly becoming as standard as a television commercial. When it comes to traditional advertising, there is only so much an advertiser can do to target specific demographics. Sure, television and radio commercials can aim for a certain region, but these traditional advertisements paint with a wide brush creating what we call waste, reaching those we may not necessarily want to reach. With digital advertising, there are algorithms at play and specific strategies you can implement within your Pay-Per-Click (PPC) and SEO campaigns. This allows for much more targeting when trying to target a certain demographic. A search engine’s knowledge is used to know if a product would be something a consumer may be interested in. This brings in more valuable click-throughs of a website. Every company putting time, effort, and money into a campaign wants to know if those resources are producing results. Knowing a campaign’s results is crucial in determining if revisions are required to help the company grow. With traditional marketing, this is nearly impossible to test outside of keeping track of sales numbers from before, during, and after a campaign. Digital marketing, however, allows a business to utilize web analytics to get very accurate data on how many people are seeing their advertisements and, to some degree, how people are interacting with them. 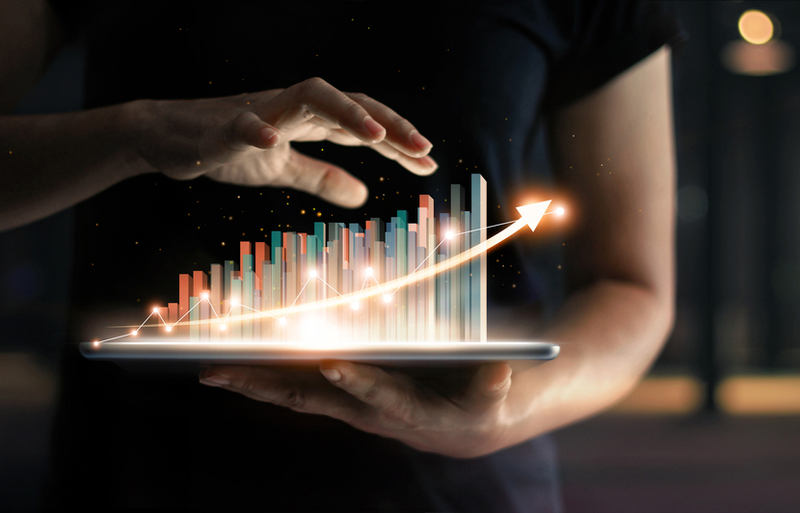 These analytics let companies see if potential clients are engaging with their ads, therefore signaling a successful campaign, or if viewers are simply passing them by meaning that the campaign should be rethought. When it comes to marketing, there are few things more valuable than knowing a customer’s reaction to an advertisement. Digital marketing provides this in a way that traditional ads never could. wonders when incorporated into a business’s digital marketing campaign. There are platforms like Facebook, Twitter, Instagram, Snapchat, and LinkedIn. 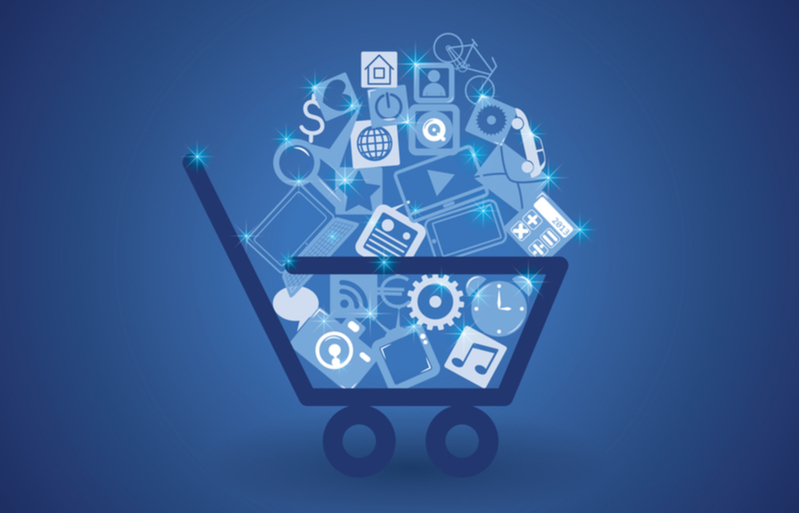 Keeping track of posting regularly and engaging with consumers on all these sites sounds like a daunting task. However, starting off small and choosing one or two platforms for a specific business could help. If a company sells a product that is visually appealing, mediums like Instagram and Snapchat would be a good place to start marketing. For a more service-oriented organization like a legal firm or a finance company, social media that prioritizes informational text like LinkedIn or Twitter would be the way to go. Facebook is one of the most widespread and versatile mediums out there to brand your business. 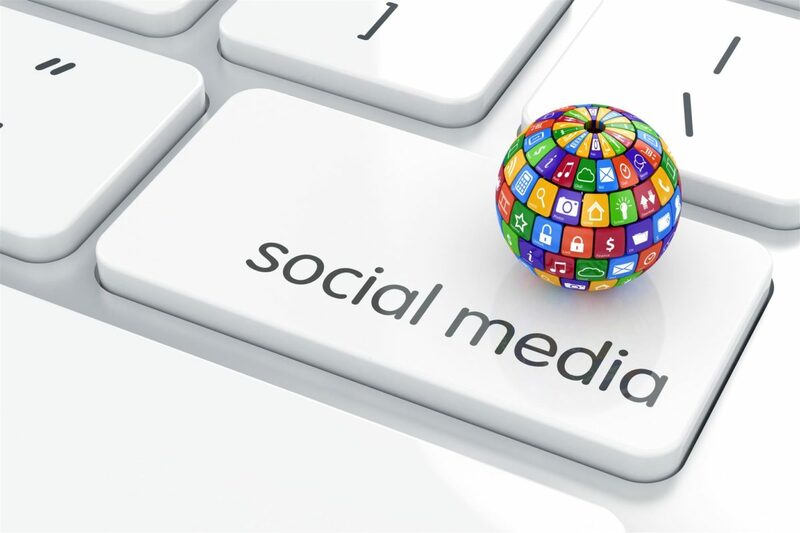 It is a great place to start for anyone looking to get their company on social media. Taking the leap into digital advertising is a big deal. A digital campaign takes a lot of time, money, and resources. It’s easy for such a campaign to become overwhelming, but at Amped Marketing we have the solution. We will partner with your business to bring your advertising campaign into the digital age. Contact us today to find out more about how we can create an incredible digital advertising strategy for you. Professional videography is a requirement in today’s media-driven age. As a company marketer or business owner, you may have initiatives to drive sales or brand awareness. A video, as you are likely aware, is the best way to generate engagement. You’re only as good as the tools you use, and with inadequate equipment and unskilled workers, your production will look amateurish. The result will only hurt your brand. Professional video companies can precisely formulate how much a video will cost, in most cases, companies will guarantee a specific rate for a completed product. They’ll also have state of the art equipment to provide you with the best visual quality and professional style. When you start doing it yourself, you’ll need the correct video, sound and lighting equipment. If you don’t have these professional devices lying around, you’ll have to rent them at a high cost. All of this plus post-production, paying employees, and the cost of video editing causes the price to skyrocket when you try to keep it in-house. Eliminate all of these incidental purchases and costs by using a professional videographer instead, who will know how to use their tools to the best effect. As an amateur, it is very complicated to calculate the amount of time planning, shooting, and refining your project takes. Do-it-yourself video productions take longer than the same projects completed by a professional. With so many different factors that can go wrong, one of the most prevalent in the local business sector is that the project might never get done at all. Before that, a lot of money and time will end up being wasted. It is clear to see how professionals stick to deadlines compared to the alternative. While you are surely an expert in your chosen field, you are not a professional marketer. Significant training and professional-grade equipment help achieve the quality that equipment is specifically designed to do. An experienced company has specific systems in place to design a project and strategically drive it from beginning to end. When you do it yourself, you just lack the experience needed to be able to identify issues and proficiently address them. Call on the experts instead. 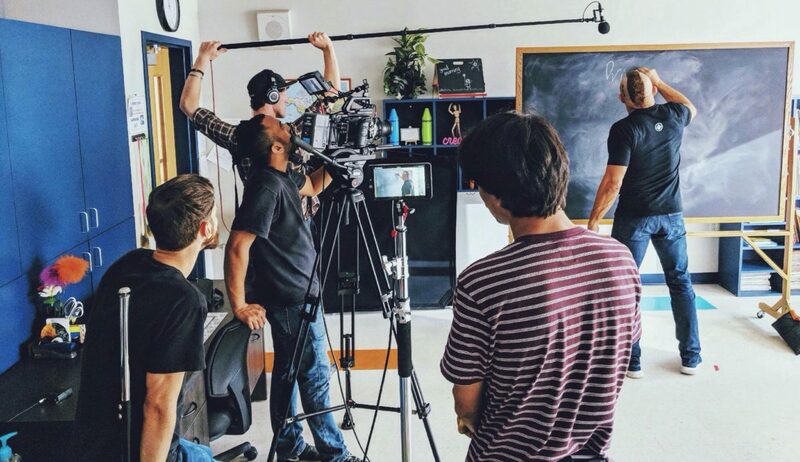 If you or your company is looking to produce a commercial here in Tucson, or anywhere in the nation, Amped Marketing is a professional video production company with few limitations. We use the best video capturing equipment and combine it with high-grade software and expert videographers and creative directors. 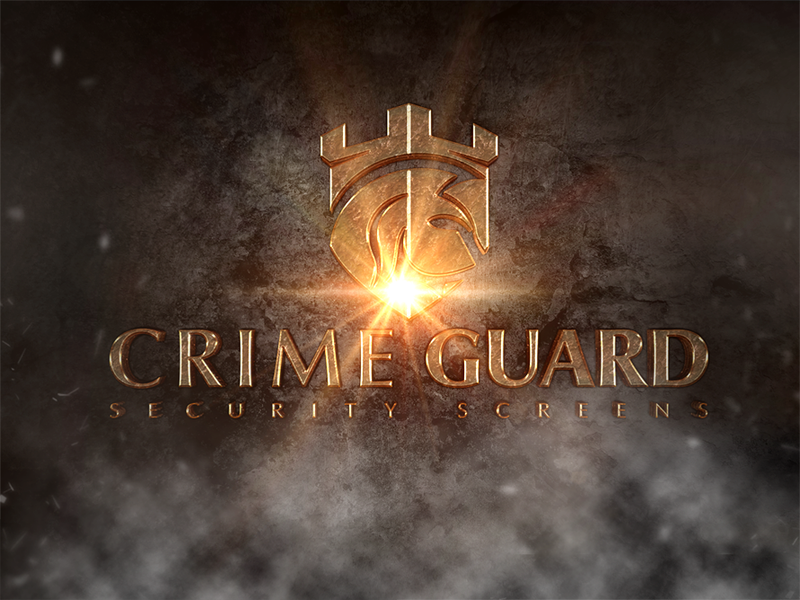 Contact us today or call 520.777.8309 for a free consultation. From the initial stages of your next production, let us take you to the next level. With 2019 around the corner, a well thought out and beautiful web design is the most effective marketing tool you can have in your arsenal. When you have a website that is built on a consumer-guided infrastructure, optimized to generate more clients, your business can align its goals with real results. Focusing on the key factors which influence your consumers is how you can tailor a well-built website for digital marketing success. The average American visits thousands of websites per year. In today’s digital world, a fast loading page, intuitive guided navigations along with stunning, sleek designs are what users expect. As a result, confidence in your company will mirror what they see online. Structuring web design to fit this model is imperative for success. Based on our multi-screen society, you need to make sure your site is built around this behavior. If your website isn’t optimized for mobile, or the latest browsers, chances are you’ll lose out on leads and even sales. First of all, in order for your company to evolve, you have to outline specific sales and marketing goals. After that, carefully mapping out how your web design will reflect the goals is imperative for digital marketing ROI. Make the most of your business by keeping it updated and easy to use. 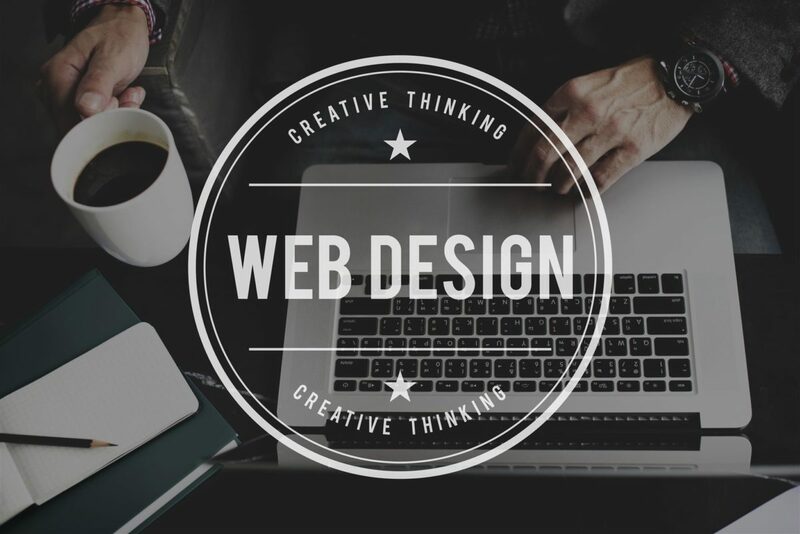 Below are the Top 3 reasons why web design is important going into 2019. Build a better User experience – To improve website usability for your visitors. When a visitor has just engaged your website, the navigation or workflow will lead to an emotional experience. A site that is difficult to navigate, slow in loading or is structured with too much / too little content will turn off the majority of users. The main reasons to improve a site is to update the usability and flexibility of the user. Internal marketing teams will benefit as well by improving the bounce rate, eliminating outdated 3rd party tools. When you do this try to understand your customers’ behavior, as in what action you would like them to complete, along with a guided call to action. A typical user journey takes into account your customer’s path through your site and keeps them moving along the sales process. Rebranding – Update your business and marketing goals through web design. If your website is 3-5 years old, you’re likely behind pace on optimization and design trends. If your website is not your main marketing tool, it could be a sign that you’re not connecting with your audience. Above all, rebranding or a web design update could help re-align the website with new marketing goals. Being able to communicate brand values better can also help the perception of your company. An updated modern design should be a key factor on why your customer makes a purchasing decision. Understanding how online algorithms and placement work is one of the main ways to optimize your presence. There is of incredible importance to an organic SEO strategy. The context of the website matter and subtopic themes along with a powerful blog can work wonders. Try structuring strategic content throughout the overall architecture of the site. As in URLs, titles, meta tags, readability, alt text, and H-tags will dictate how efficient the rankings will be. Having a plan during staging and coding prior to launching will help with the way search engine trackers position your site on its the ranking. The cost of hiring a freelancer for a website redesign can range from a few hundred to thousands. Unfortunately, they almost always use templates to keep the cost down. The next level up is hiring an agency designer to do your website redesign. A good designer will charge from $2,000 to $5,000 for a simple website. Expect a $10,000 to $15,000 price tag for a bigger website with more custom design features. The importance of web design is to make a long-term investment that ROI mirrors on a 10:1 ratio.